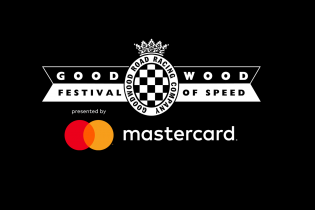 This year Goodwood Festival of Speed celebrates 25 years of delivering the best of motorsport and car culture. We’re delighted to be playing a small part in Goodwood’s Silver Jubilee year, working with a particularly young designer to realise a competition-winning design. We love the opportunity to work with young people. Previous collaborations with school-age clients have demonstrated that they are confident of their design intent and take a similarly direct approach to design development, making our job as makers comparatively easy. The winning design for the Mastercard sponsored competition is currently under wraps but all will be revealed when the festival opens on July 12th. This project is also a silver jubilee of sorts for us, marking 25 years since our first car launch back in 1993. Since then, our work has involved many automotive projects, including some at Goodwood. Our combination of highly skilled bespoke stage automation and the very best interpretation skills has been used for dynamic car reveals, stylish launches and exciting brand events. Download the case study to get a taste of our automotive work. 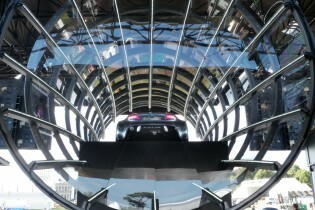 Goodwood Festival of Speed runs from Thursday July 12th to Sunday 15th July.